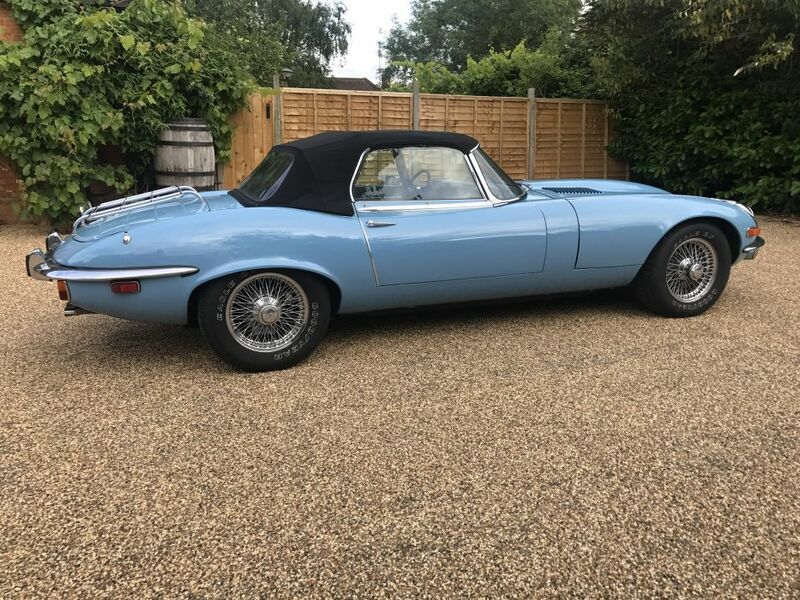 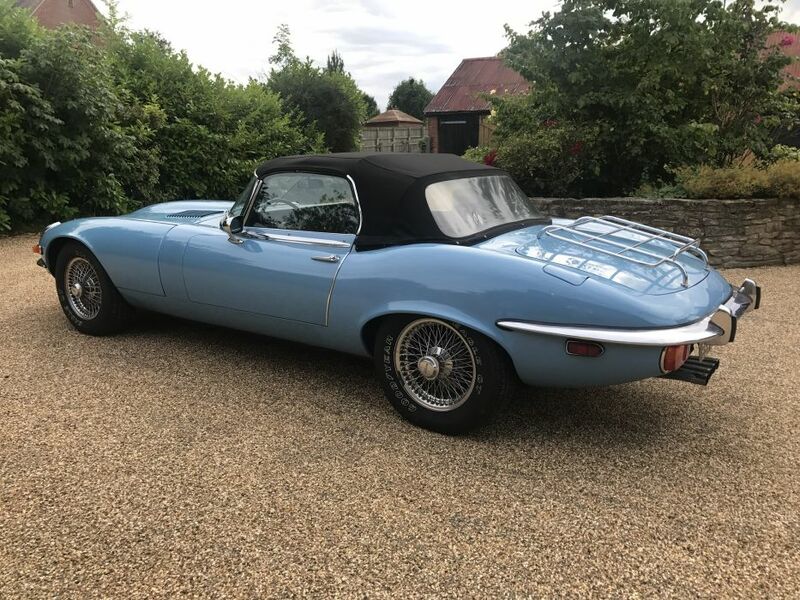 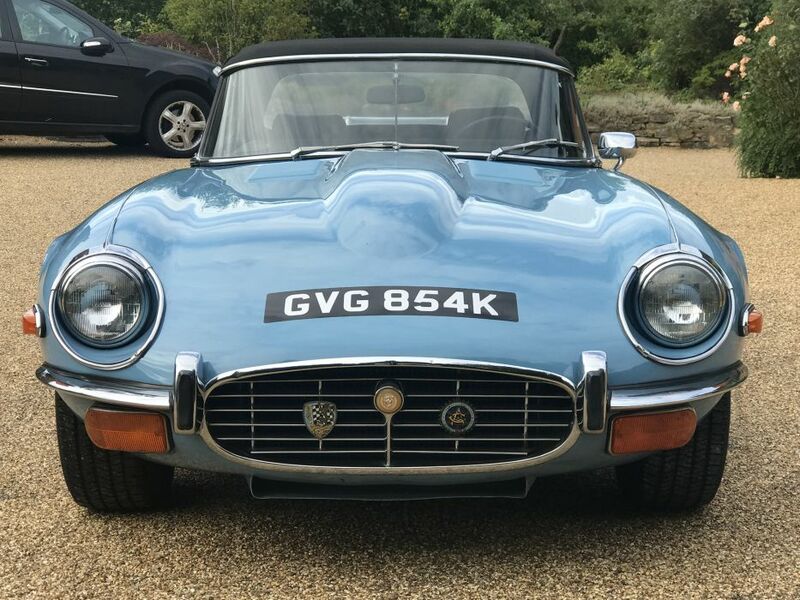 1972 Jaguar E-Type Series III 5.3 litre MANUAL V12 Roadster with dark blue factory HARD TOP, left hand drive. 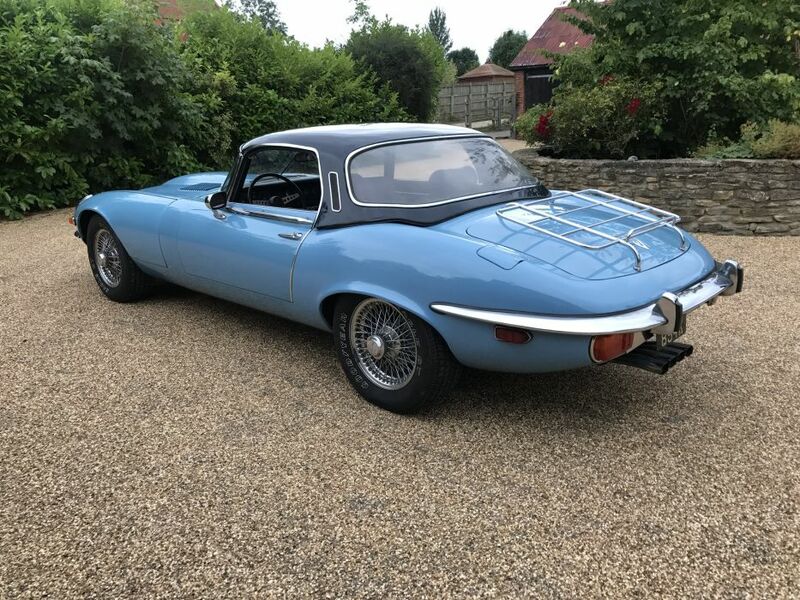 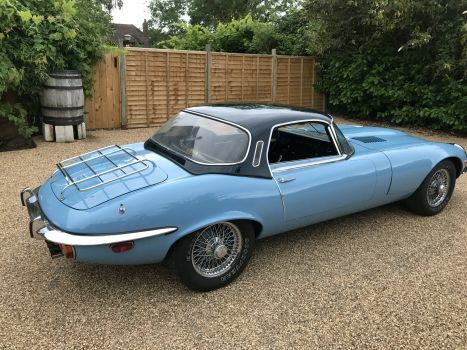 Just over 39,000 miles are recorded - believed genuine looking at the overall excellent condition of this E-type. Registered GVG 854K in April this year and imported from California having been registered in New Jersey, this fine V12 is MoT’d until June 2018. 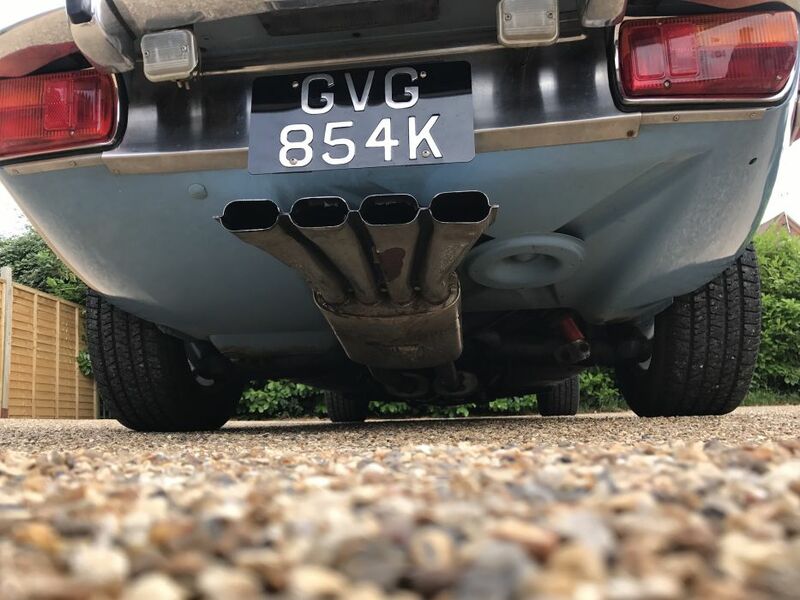 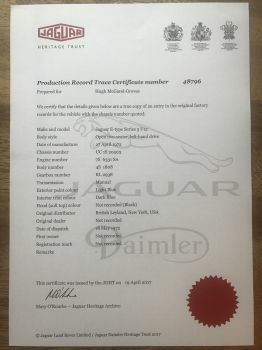 With Jaguar Heritage Trust production record Heritage Certificate, this V12 was completed on 27th April 1972 and despatched to the New York offices of British Leyland on 18th May 1972. 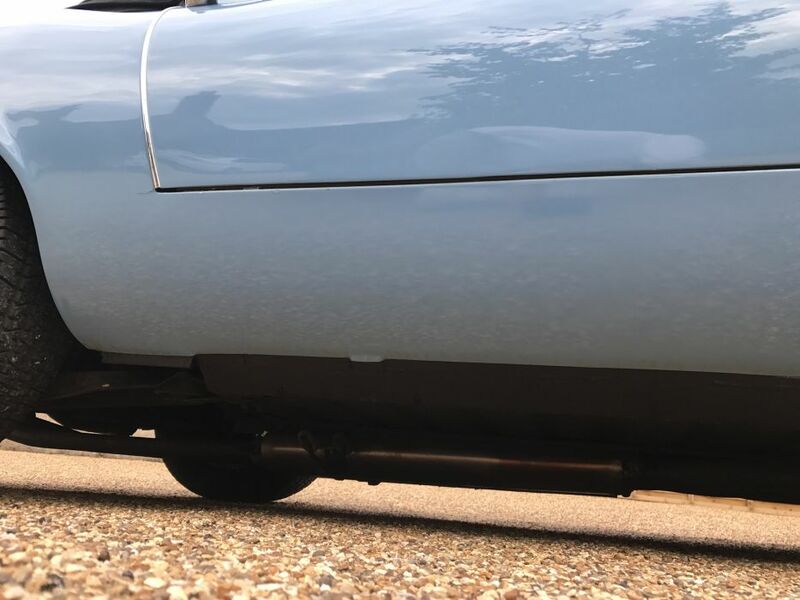 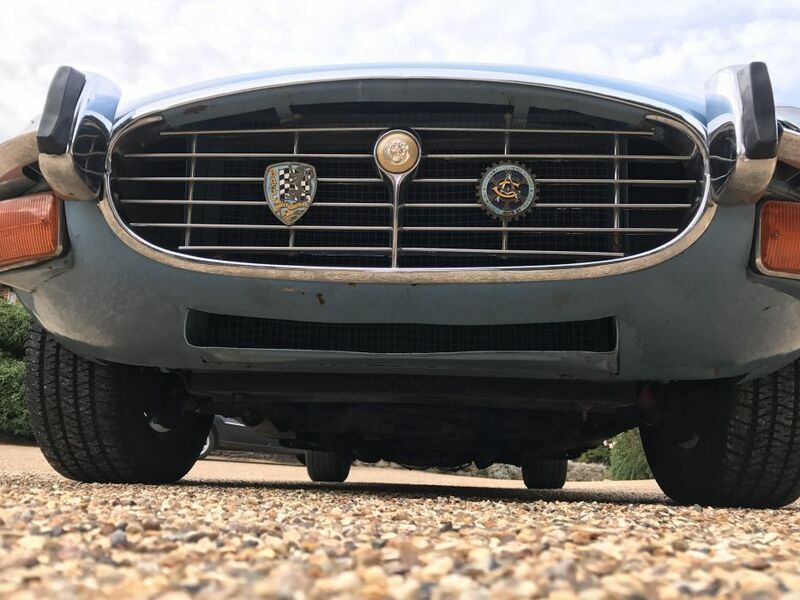 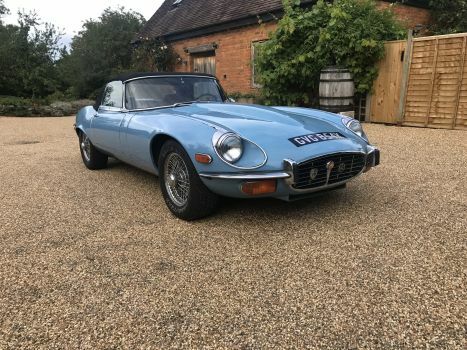 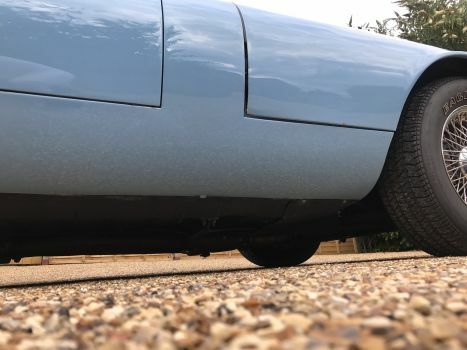 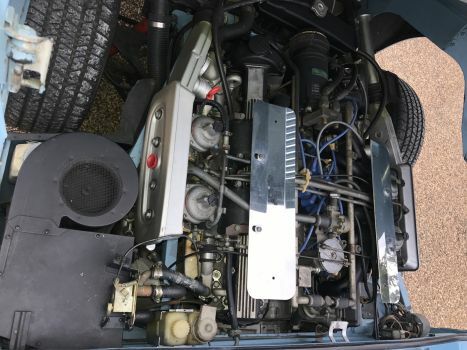 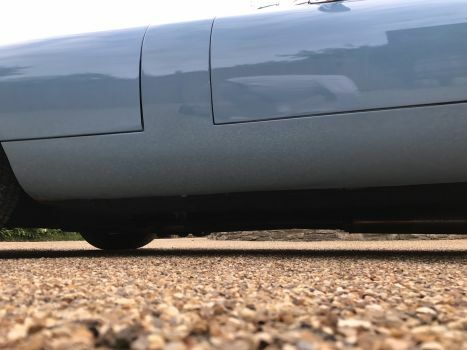 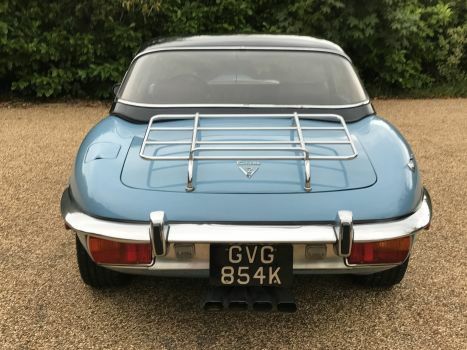 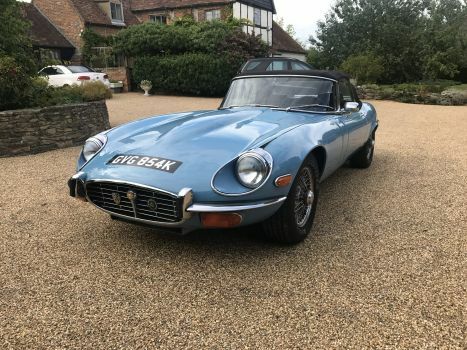 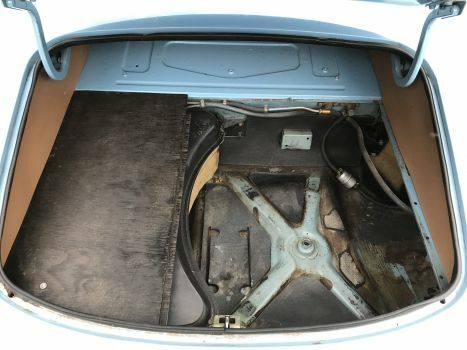 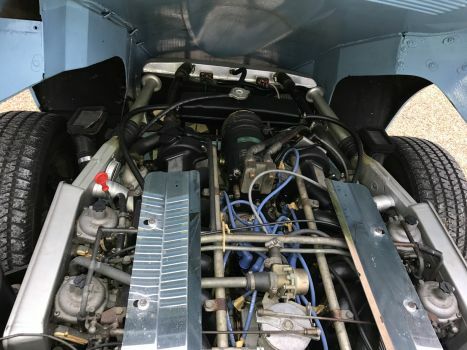 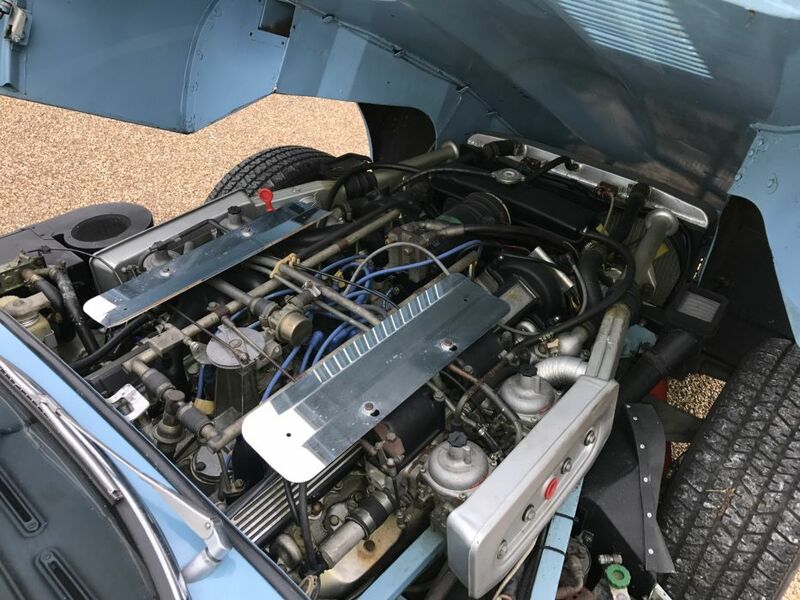 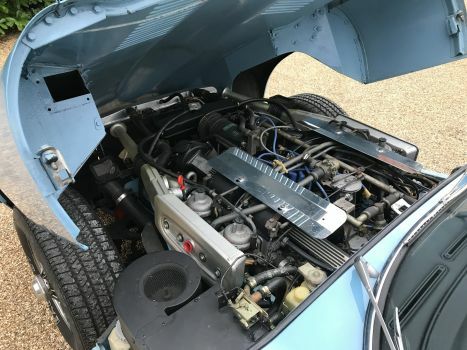 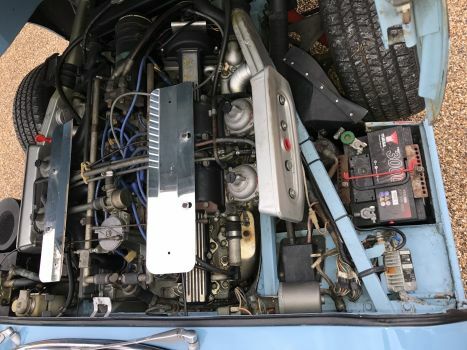 Chassis number UC 1S 20503 with engine number 7S 6331 SA is an original matching number car, painted in the favoured original press car colours of Jaguar Light Blue with dark blue leather interior found on the XJ6, XJ12 and Series III E-types of the period. 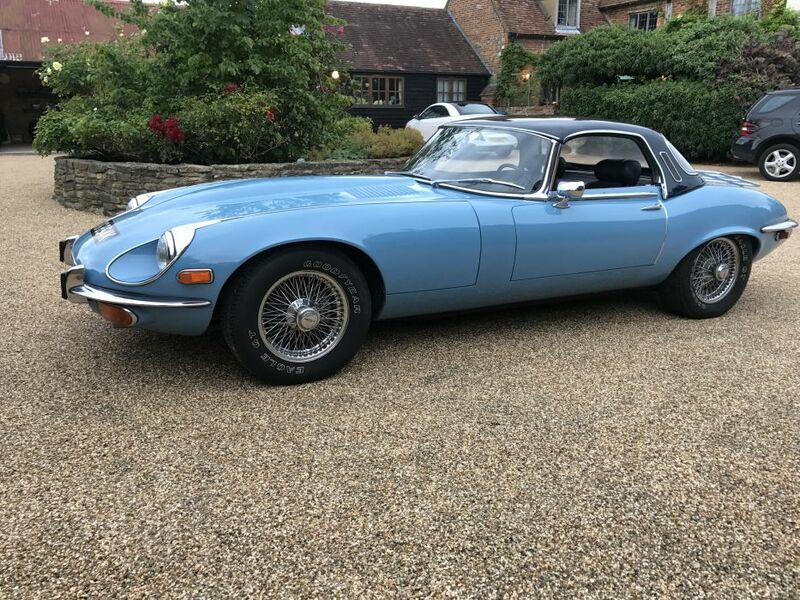 At some point this car has been re-sprayed in the correct colour, the bodywork declared in good condition with no corrosion and all chrome in very good condition – which is unusual! 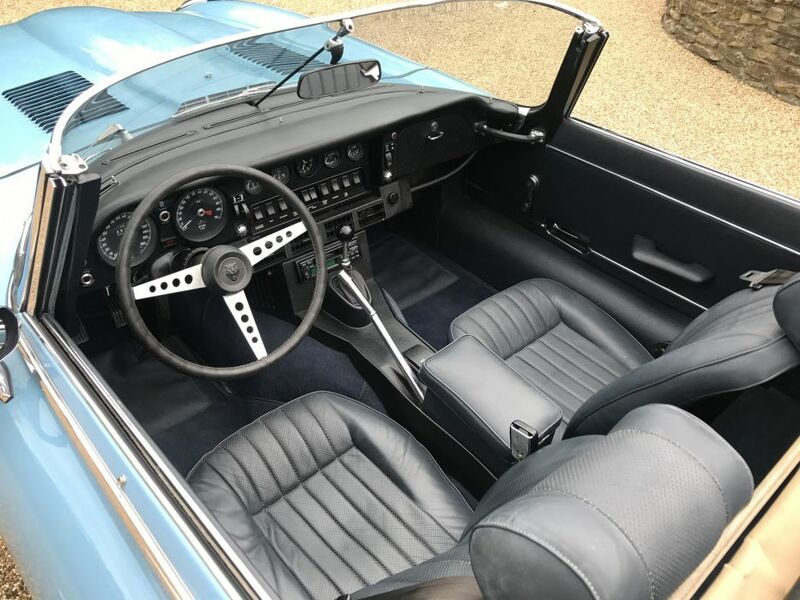 The leather interior also shows little signs of use over 45 years. 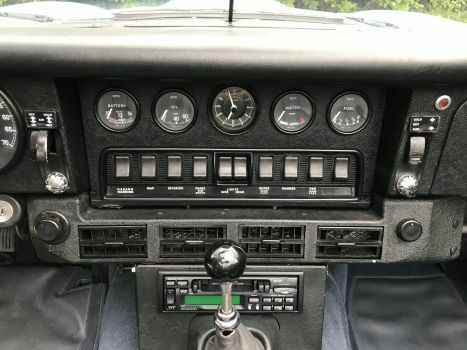 Uprated with electronic ignition system installed by a previous owner, useful factory air conditioning for the American market is also installed, a rare option for the time. 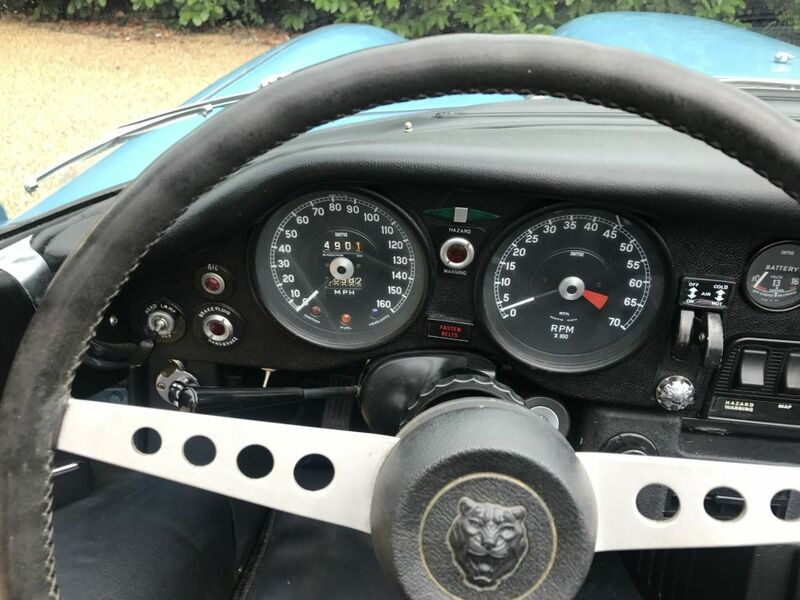 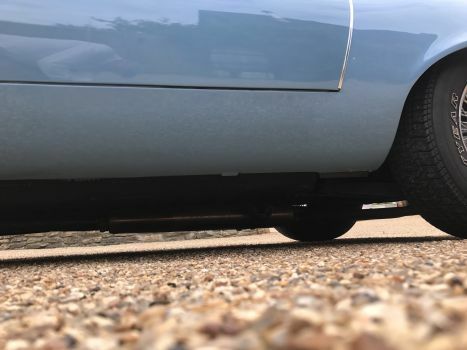 A £2278 UK major service was carried out in July this year, the engineer subsequently verbally advising that the car is mechanically sound and drives very well, the engine registering good oil pressure. 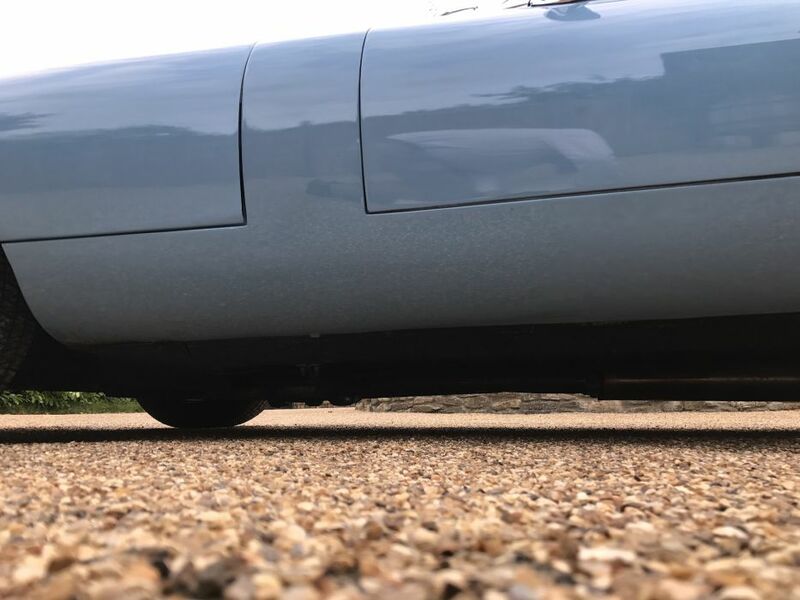 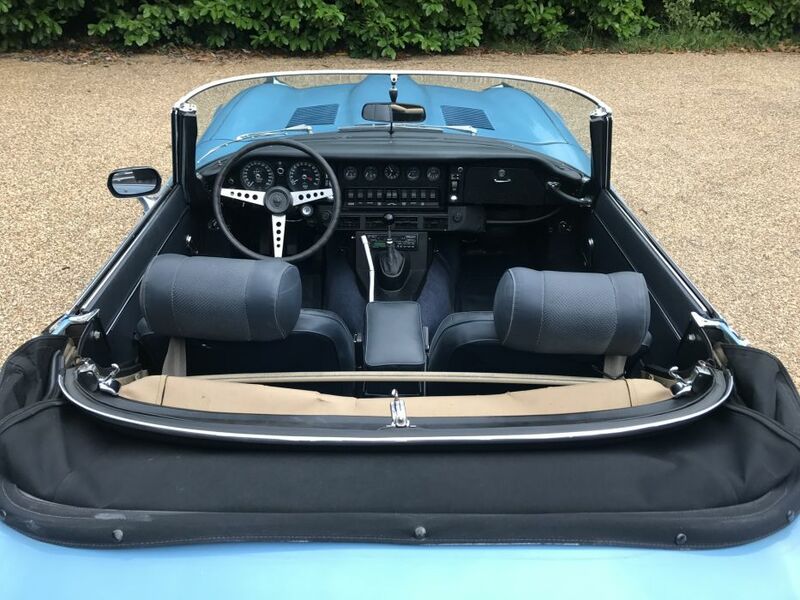 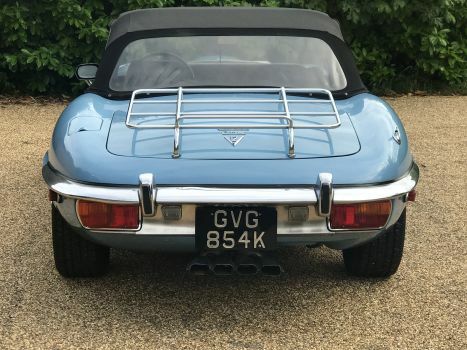 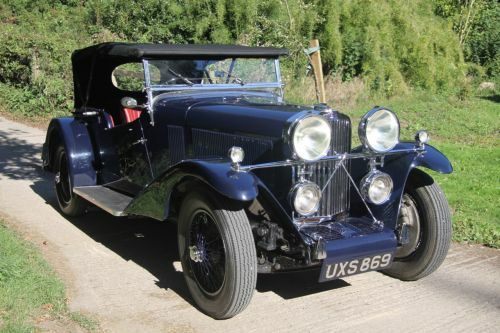 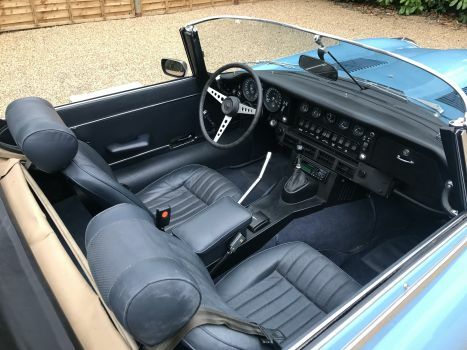 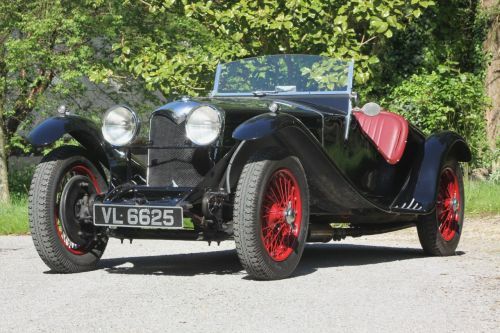 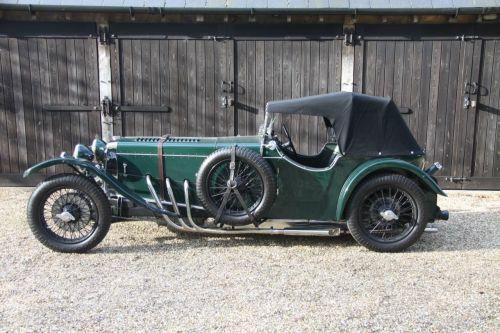 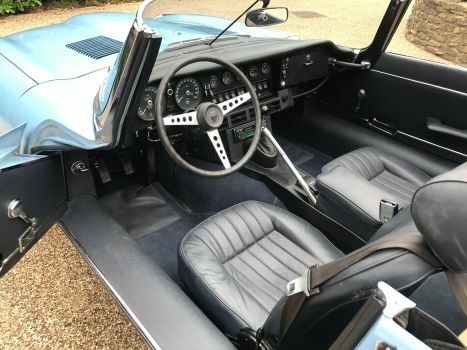 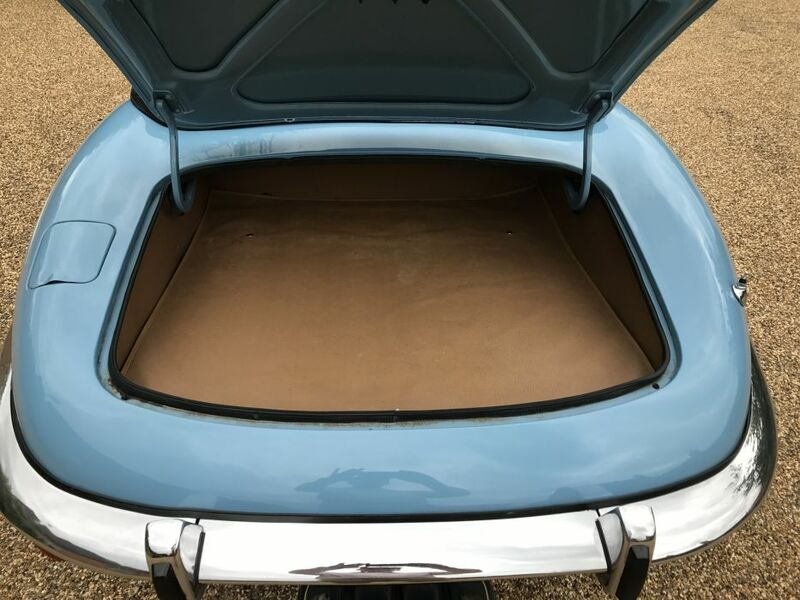 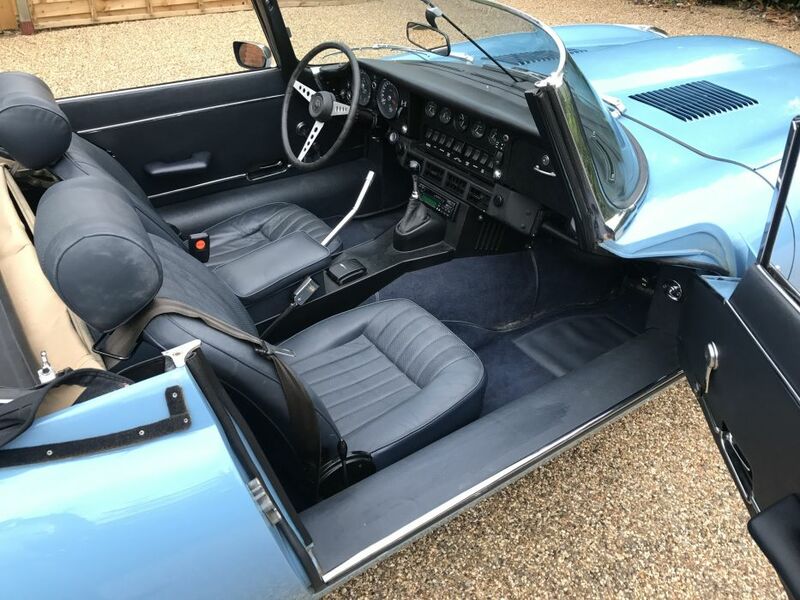 Additional items included with the desirable factory hard top are a full length tonneau / soft top cover which lives in quite a useful locker behind the seats, which also contains the original windscreen sun visors that the previous owner removed. 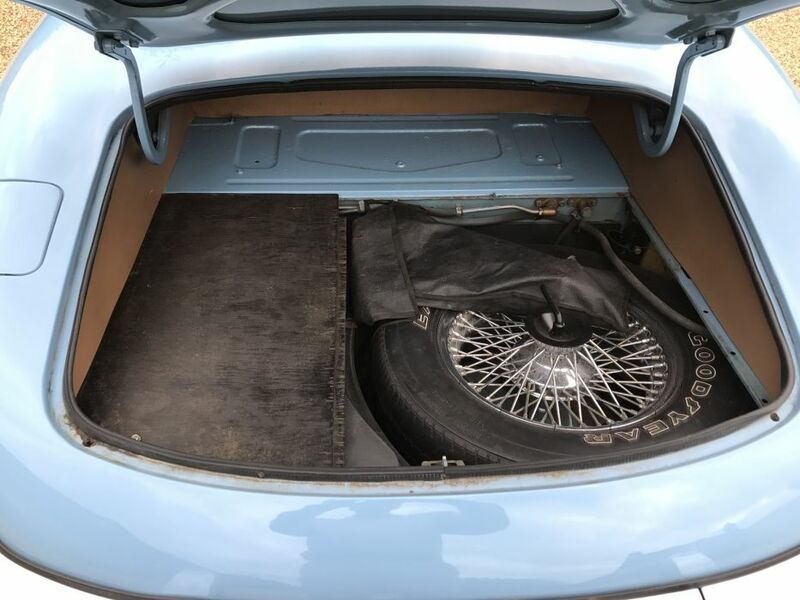 Also included are a full set of wheel removal tools, and both an original Jaguar E-Type Series III maintenance manual and also parts manual.